Take a look at why Helling Spray is the best – adheres well, is thinner, & applies uniformly without pooling or clumping! 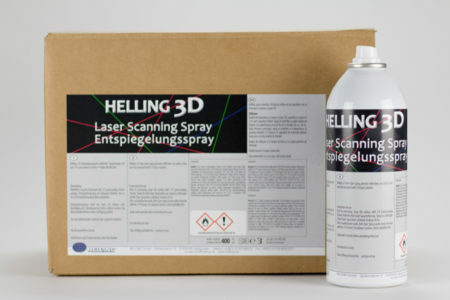 Learn how Helling 3D Scan Spray can help save you money and get better results. Why choose Helling 3D Scan Spray? Ideal for Dental and Industrial applications. Provides more uniform coverage using less spray material. Using less spray means this 3D scan spray is more cost effective! Ability to apply evenly layers of spray with minimal thickness. The leading spray used in Europe - now available in N. America!